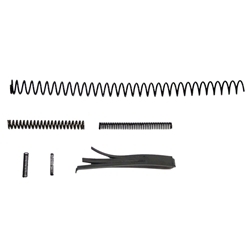 1911 Auto Spring Kit contains 6 springs; sear, plunger, magazine catch, firing pin, hammer and recoil springs. The magazine catch spring is a reduced power spring. Hammer spring is 18 lbs. Recoil spring is your choice.